We're excited to present our Sponsors for The Kind Fest 2018. These companies enable us to put on this community festival through donations, in-kind gifts, services and more! Our application period is now over for The Kind Fest 2018 - if you missed the deadline and would still would like to be considered, please email us at info@thekindfest.com to discuss options available. Sign Gypsies is providing on-site signage and sponsoring the "Sprinkled with Kindness" community project that you have the opportunity to participate in! Click the link for more information! These companies have contributed significantly to The Kind Fest through donations, services and in-kind gifts: BECU, Guitar Center, Kind Snacks and Trio Dentistry. glassybaby will be onsite at our event and is giving back 10% of all sales directly to The Kind Fest! Sno-Isle Food Co-op will be sponsoring our Volunteer Booth and providing snacks and beverages to all of our volunteers! Yoga in the Center will be providing a 9:15 am Yoga Session in front of the Amphitheater. Thank you to all our media and print production partners: KAPS Country, K5 News Take5, Natural Awakenings, Parent Map Seattle, Snohomish Chamber of Commerce, Minuteman Press of Redmond, and KSER 90.7 Independent Radio. 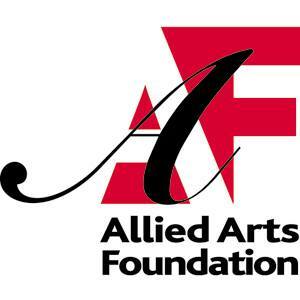 Allied Arts Foundation is our fiscal sponsor, enabling us to have 501C status for donations. We'd love for you to consider donating to us through them here.